OK fans, I need some help. We got called about some puppies in a small rural government-run shelter in appalling condition. 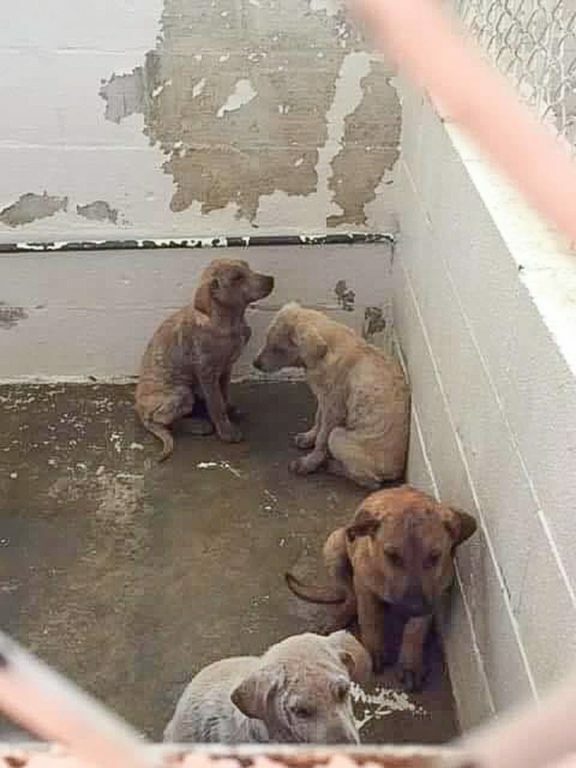 To be clear, the shelter did not put these puppies in this condition. Then we got other pictures of other dogs in the shelter and we were horrified. 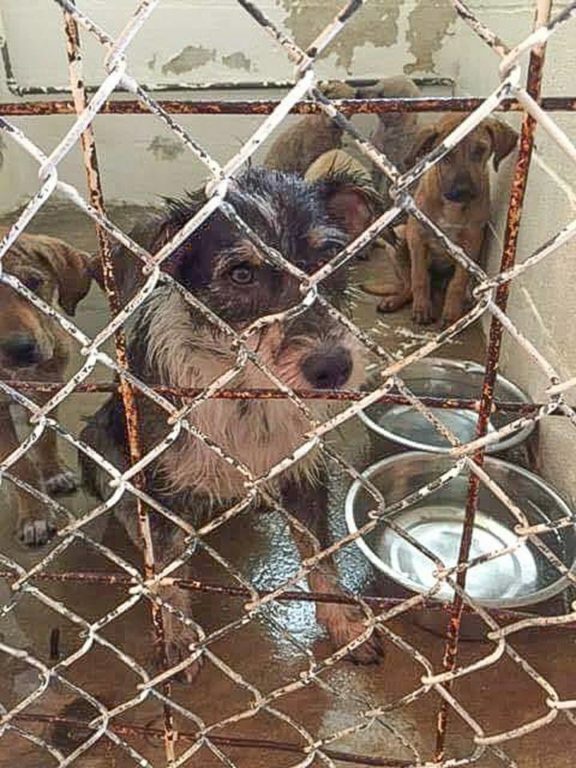 The shelter did not put these dogs in that condition either, but the conditions they are held in are far from OK. The problem in poor rural areas is there is no money. The government can’t afford basics for people, like housing and health care, let alone dogs. What you end up with is an endless circle of misery. We are committed to trying to fix this, but it will take more clout than we possess along with cash to make a meaningful dent. For now, we are focused on the dogs. 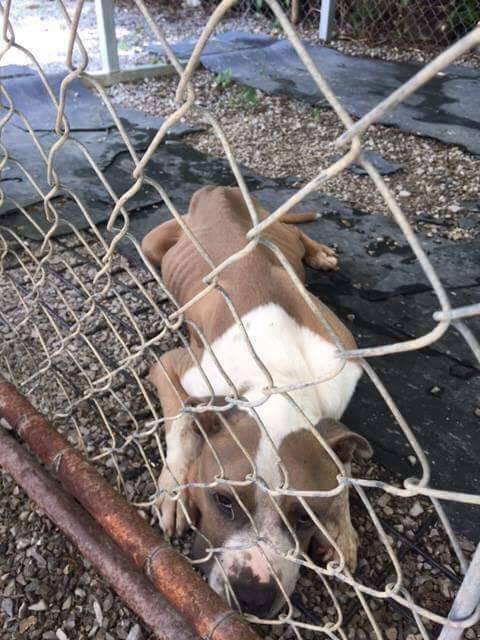 The emaciated pit bull did not make it. She was riddled with tumors and was incredibly ill, but I am sad her last days were in a run like she was kept in. The scruffy is out with another rescue and now we have all the puppies, another Mom + 2 and a terrified, incredibly sweet, hairless pit bull bull lab mix that someone took to the shelter after it was found starved and chained under a house. We just added 10 more sad cases. If you can help donate to help us help these dogs, you can donate here: https://www.paypal.com/cgi-bin/webscr…. Thanks as always. Stay tuned for more as I would like to do something with this she lter to improve conditions.